Heliopolis’ Photopia hosts the screening of Danny Boyle’s Slumdog Millionaire, which will be followed by a discussion with Egyptian cinematographer, Salma El Kashef. 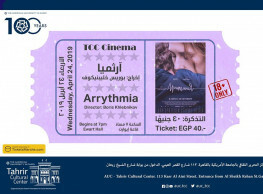 Tickets are 40LE. For more information check the event.